Columbus, OH. Friday, January 12, 2018. With a focus on leveraging housing as a platform to ensure access to social services opportunities for low-income families, National Affordable Housing Trust (NAHT) is proud to announce the closing of Holly Park. NAHT closed on the property in partnership with Goldman Sachs Bank and Mercy Housing. Equity financing for the renovation of Holly Park Apartments is being provided by the Strong Families Fund (SFF). SFF uses a Pay for Success model to include Resident Service Coordination (RSC) as a part of the development plan. This model requires the collection and analysis of impact outcomes from the RSC efforts with residents of Holly Park. The Strong Families Fund is a ten-year initiative of the Kresge Foundation, Robert Wood Johnson Foundation (RWJF), Corporation for Supportive Housing (CSH), Stewards of Affordable Housing for the Future (SAHF), The Community Development Trust (CDT), Goldman Sachs, and NAHT. The purpose of SFF is to stimulate and support innovative strategies to design, deliver, and measure the impact of Resident Service Coordination for families. The long term goal is to identify new and sustainable funding models and strategic partnerships to support the delivery of effective RSC that expands service opportunities available for residents. As a collaborative, NAHT, SAHF and SAHF Members have created a common framework for members to demonstrate the impact on residents of stable affordable rental housing and services. Through on-site services, community partnerships, and focused resident engagement strategies, SAHF and its members support residents in achieving critical health and wellness, financial stability, education and employment outcomes. 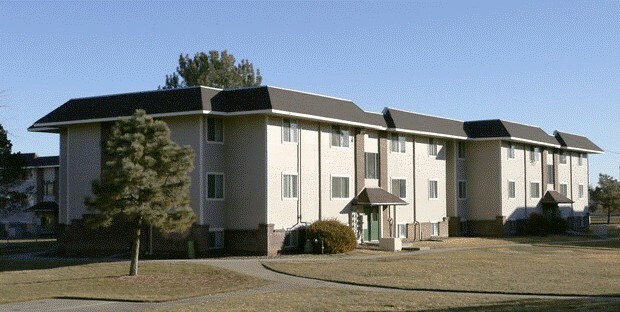 Holly Park is a 168 unit one-, two-, three- and four-bedroom unit apartment community. The rehabilitation will include new floors, kitchen and bathroom cabinets and countertops, mechanical system, electrical, windows, heating system, exteriors, site work, and life safety and accessibility upgrades. Holly Park is owned by Mercy Housing and is located in Commerce City, Adams County, Colorado. Mercy Housing is the nation’s largest nonprofit provider of affordable housing and services. Mercy Housing has participated in the development, preservation and/or financing of more than 54,000 affordable homes around the country. 50% of Mercy Housing’s residents are families. NAHT believes that affordable multifamily housing coupled with supportive service coordination can serve as the foundation to achieve success for low income families. Through the Strong Families Fund, NAHT and its partners will not only improve residents’ lives, but will use reported outcomes to examine housing as both an economic and social investment; while helping to shape future public policies and programs.